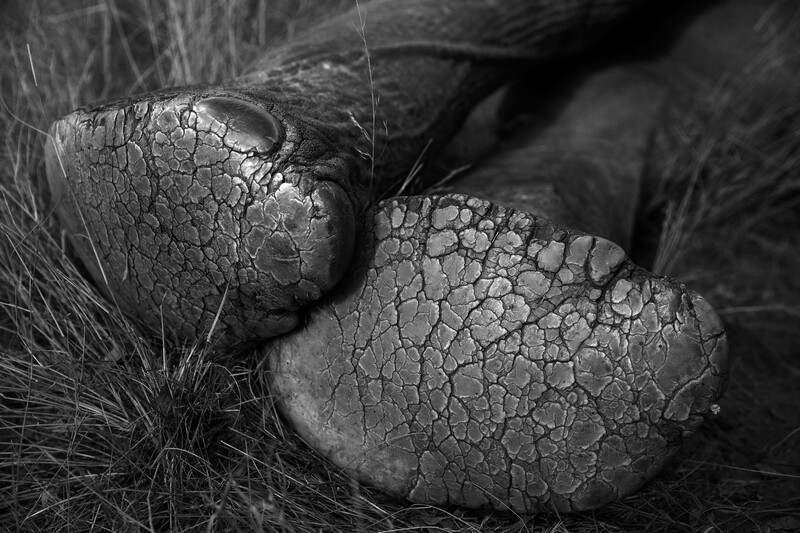 Often referred to as "wise" in anthropomorphic storytelling and well-documented to have a long and detailed memory, elephants have another thing going for them that gives them the appearance of age and experience: their wrinkles. 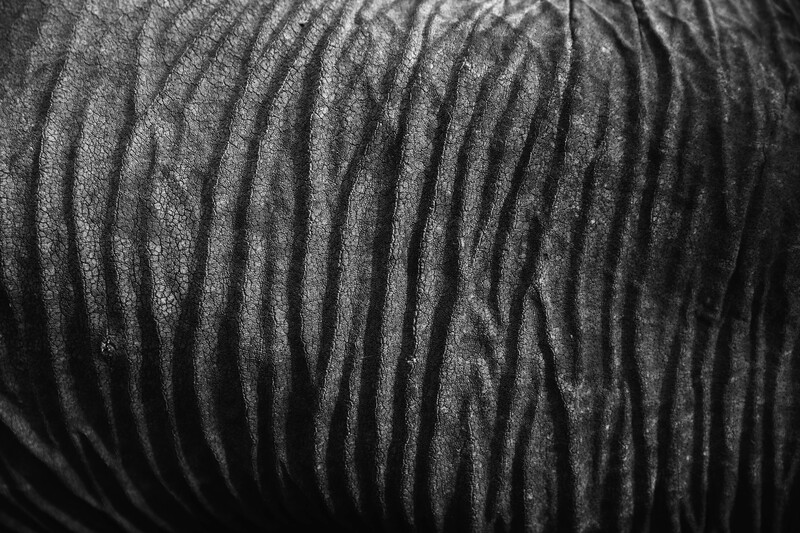 Aside from giving elephants a distinct aesthetic, these wrinkles (which aren't actually wrinkles at all) have a very practical and necessary purpose. According to a recently published article in National Geographic: "The millions of micrometer-wide fractures in elephants’ skin retain mud and water after mud baths, helping the animals stay hydrated between trips to the water hole. Evaporation from the mud and water also aids temperature regulation—vital because elephants, unlike many mammals, don’t sweat." Unlike wrinkles, "a team of researchers believe they have discovered that these cracks form as a result of the stress of skin bending, not shrinking," according to The New York Times. 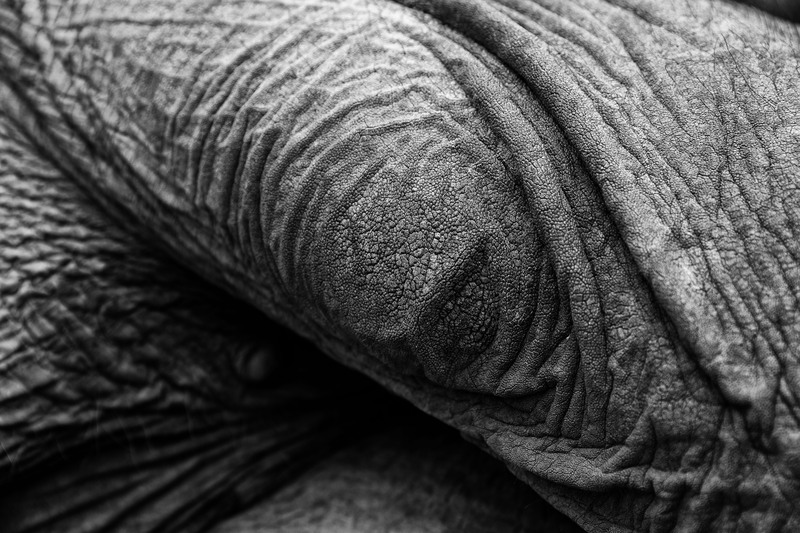 Regardless of their practical purposes, we think the cracks and folds on elephants bodies only serve to make them more fascinating and beautiful to look at.